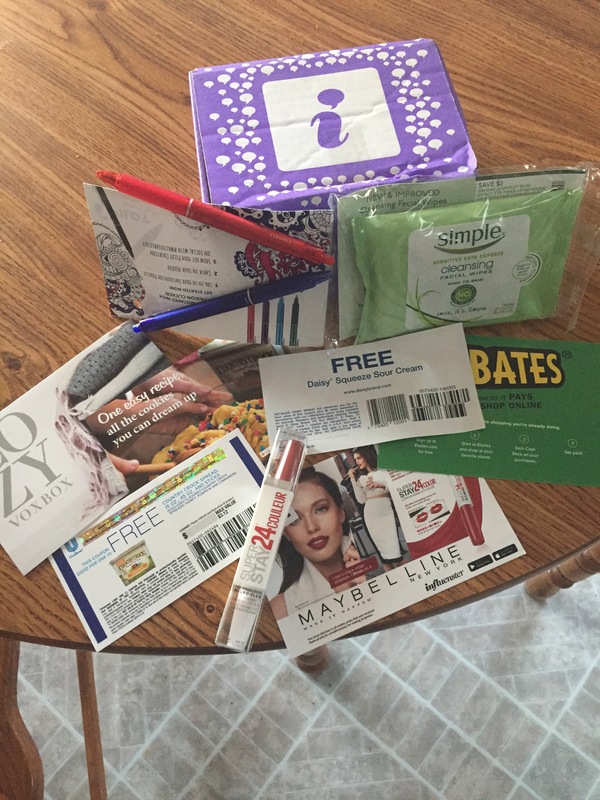 I was lucky to qualify for the cozyvoxbox from Influenster. I loved all the products I got to sample. The Maybelline 24 hour colorstay Lipcolor is great. Goes on so smooth and color lasts. Also a great price! The simple cleansing wipes work very well and leave skin clean. Easy to use and convenient to carry in your purse or for traveling. The Pilot pens are awesome! They write very nice and can actually be erased!! The Daisy Squeeze sour cream is really convenient. It squeezes out very easily. Perfect for a topping or in food dishes. Great flavor too! The Country Crock is another great brand. Perfect for cookies and baking. I received all these products for free. Opinions are 100% my own.